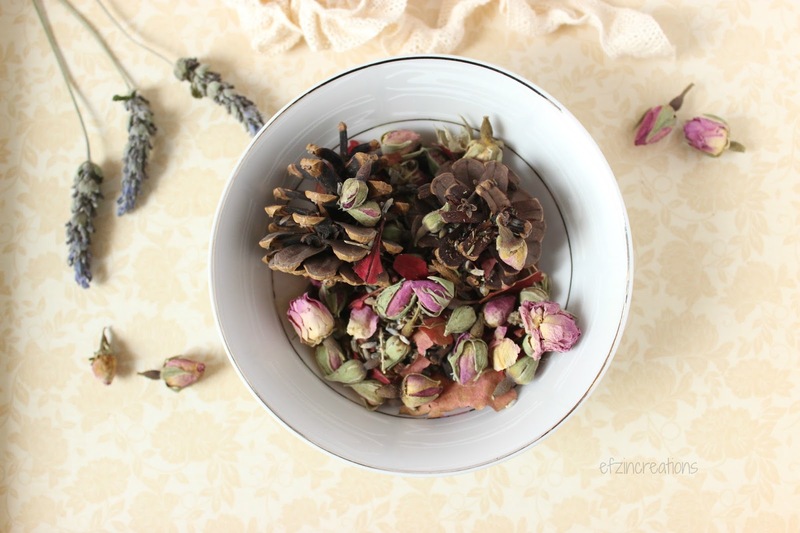 I am fanatic of the flowers…and not only during the Spring! Actually one of my dreams was to have a huge garden in my house with roses and tulips and jasmine and many more! I don not love only their colors but mostly their aroma! 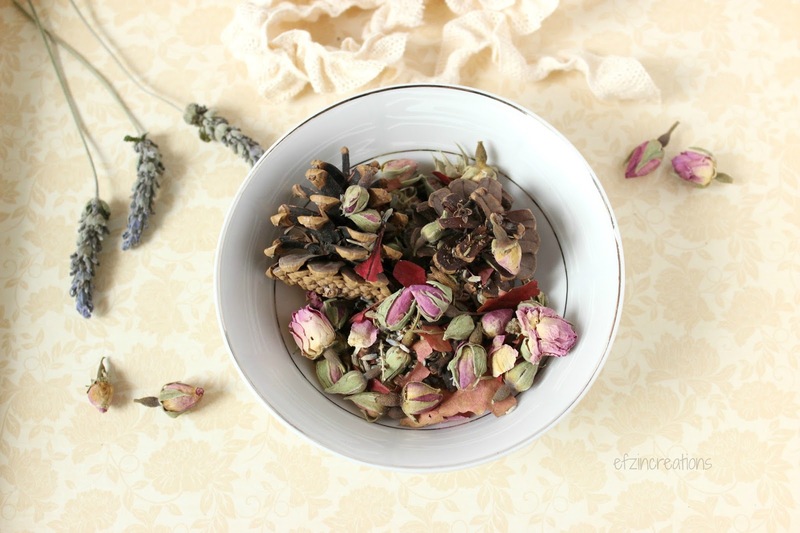 That’s why I tried to have them in my home…dried but still full of aroma and color! 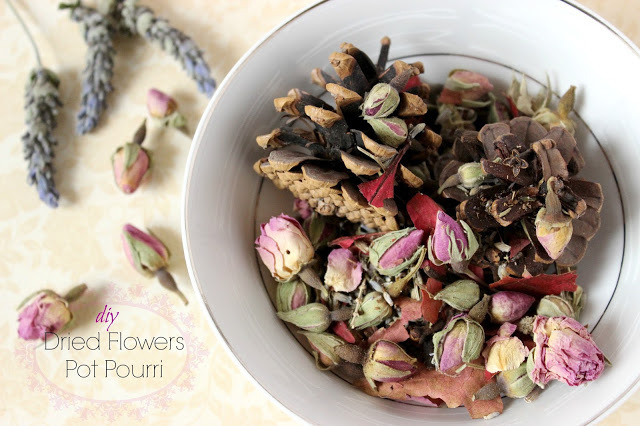 A homemade pot pourri that you are going to love! The procedure is really easy! Put all the dried flowers and the lavender and the cloves and the pine cones (or what ever you wish to add and in the quantity you wish) in a small plastic bag. 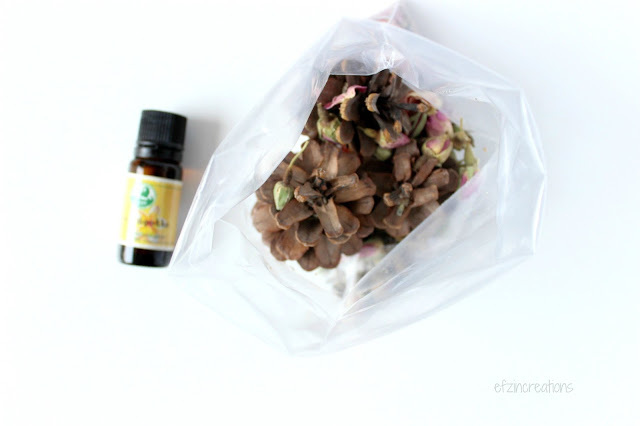 Add 6-8 drops from the essential oil and try to stir them smoothly. Close the bag, stir them once more and keep them closed for at least two hours. Your pot pourri is ready for use! Place it in your favorite plate or tray or whenever you want and the place will have an amazing aroma! Believe me, you are going to love it! Actually, I have created a few and offered them as a gift to my friends…isn’t it a great idea? In case you wish to renew the aroma, just add a few more drops from the essential oil and repeat the above procedure. 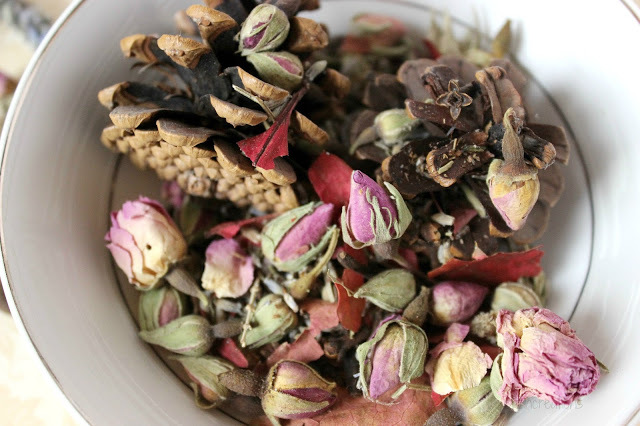 Have a wonderful full of aroma day my friends! Είναι πραγματικά υπέροχη ιδέα. Αγοράζω και εγώ αιθέρια έλαια, μα μέχρι τώρα τα έκαιγα σε κερί. Μου έδωσες ιδέα! Δεν έχω κάτι καλύτερο από σπίτια που μυρίζουν υπέροχα. με τον τρόπο αυτο και εχεις λουλουδια και κραταει το αρωμα. ειναι ωραιο να μπαινεις σπίτι σου και να μυριζει όμορφα! Είναι μοναδική ιδέα και για να σου είμαι ειλικρινής πάντα έτοιμα τα αγοράζω…ορίστε η ιδέα σου μου έλυσε τα χέρια!!!! Ωραία φωτογραφία! Ελπίζω να τα απολαύσεις! σε ευχαριστω! Hi Thank you for the recipe,you make it so easy in contrast to a book I bought to make it.I know its going to smell heavenly.I could not access the links for the oil,I keep the Roses myself from the garden. The procedure is really easy. 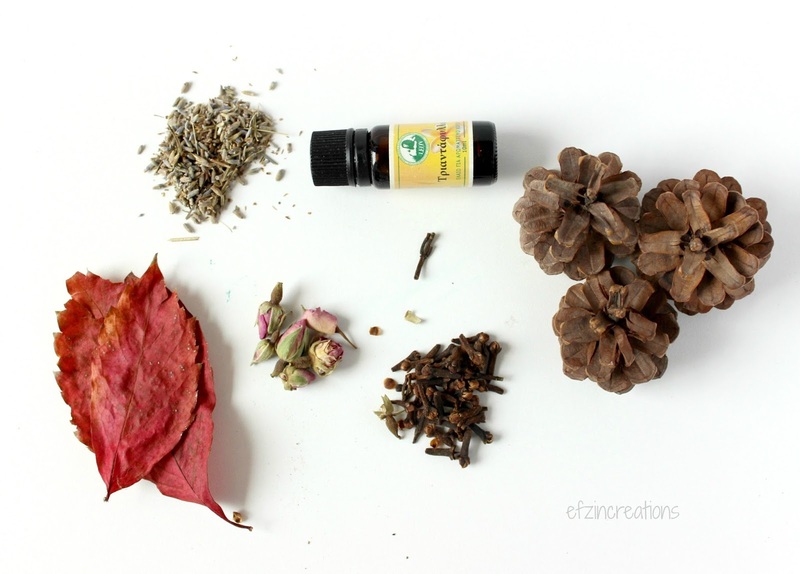 In case you create them, just remember to renew the aroma once per month or more. Also thank you for your comment, the link has been replaced!